WE REGRET THAT THE EVENT IS NOW SOLD OUT - IN THE FIRST 5 MINS - WE CAN'T TAKE ANY FURTHER BOOKINGS. Boston is notoriously difficult to enter due to the time qualification system but as an International Travel Partner to the Boston Marathon we can guarantee a very limited number of invitation places to non-qualifiers. So, if you don’t have a qualifying time and your dream is to run Boston and complete the Marathon Majors we can help you. Non-qualifiers will start behind the qualified runners - check the Boston Marathon website to see if you have a qualifying time www.baa.org. Runners with a qualifying time can also book our travel package if they would like to stay with a group of like-minded runners (runners with a qualification place will have a discount of 5% on the package price and can take a hotel only option on request since we will not have the administration costs of managing the race entry and are additional to our group allocations). As we have so few places all non-qualifier guaranteed places are dependent on booking a full package including flights, airport transfers and minimum 4 nights hotel as in the package below to enable us to fulfil our group allocation minimum numbers with suppliers. As we expect this tour to sell out in an hour or two from going live we suggest that if you want to deviate your return flight for an extended stay you book the tour as it stands at the moment and we can work on deviations later – if you make an enquiry about deviations you will definitely miss the booking opportunity as it will be sold out. The historic Omni Parker House Hotel is located right in the heart of Boston, 2-mins walk from The Old Town Hall and State Building, 4-mins from Boston Common, 10-mins from Faneuil Hall and the Boston Tea Clipper. 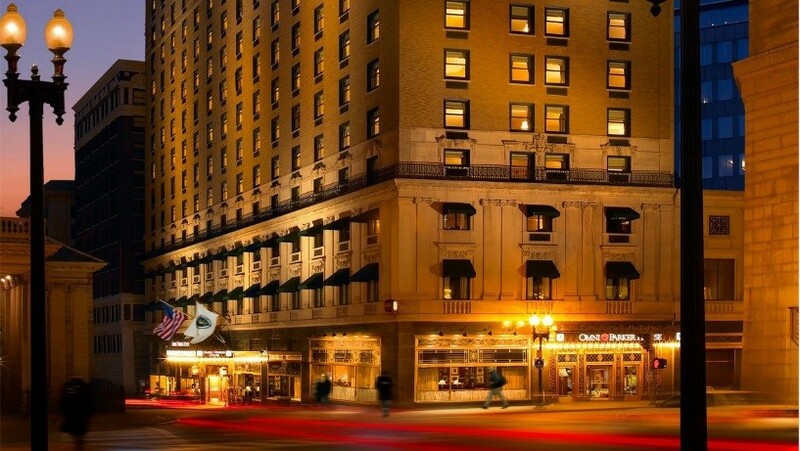 With 160 years of history the Omni is the oldest continuously run hotel in the United States. It mixes the sense of history with modern rooms with luxury en suite bathrooms and custom furnishings. Parker’s Restaurant offers fine dining throughout the day and the Last Resort Bar drinks and bar food from 4pm to 1am. A very well-equipped Fitness Centre is available to guests 24 hrs a day. Friday 12 April: Depart from London Heathrow on Virgin flight VS11 departing from London Heathrow at 15.25 and arriving in Boston at 17.55local time. On arrival transfer by private bus to your hotel for 4 nights, the superior Omni Parker House Hotel. The Omni Parker House is a landmark hotel located close to the historic State Building and Boston Common. Saturday 13 April: Join us for a loosen-up run through Boston Common and along the Charles River this morning. During the morning, we will make our way to the Boston Marathon expo at Copley Plaza to pick-up the running packs. The rest of the day is at leisure in Boston. You can pre-enter the 5km run that takes place at Boston Common this morning. This flat and fast route starts at Boston Common and passes under the marathon finish line on Boylston Street. Sunday 14 April: At leisure in Boston – you can pre-enter the 5km run that takes place at Boston Common this morning. This flat and fast route starts at Boston Common and passes under the marathon finish line on Boylston Street. 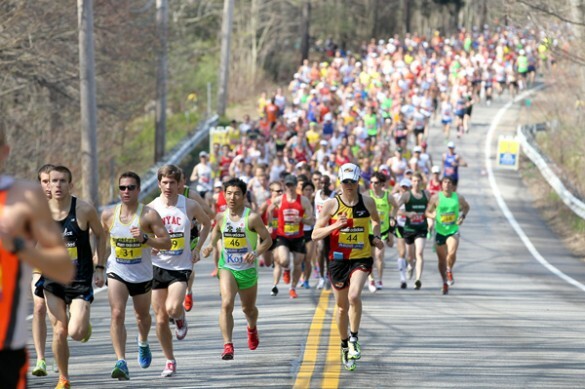 Monday 15 April: Buses to the race start at Hopkinton depart from nearby Boston Common. The bus to the start is included for all of our entrants – spectators cannot go to the start. We will walk you the short distance from the hotel to the bus departure point. It is possible for spectators to take the Boston subway out to between 16 and 17 on the route to see the runners take on Heart Break Hill– after they have seen you they simply jump on the train back to the finish and can see you come in. Join us for a drink in the bar this evening so that you can share your story. Tuesday 16 April: Morning at leisure then transfer to Boston Logan Airport for your return flight on Delta flight DL58 departing at 19.26 (note: this flight is operated by Delta on a code share with Virgin Atlantic). Wednesday 17 April: Arrive at London Heathrow at 07.05. Note: The full guaranteed entry fee is $660 and is made up as standard entry fee + guaranteed non-qualifier fee supplement. This has been converted at $1.33/£1 - the final entry fee will be calculated and adjusted according to the exchage rate when 2:09 Events pay Boston for the final allocation.